No one can make you feel inferior without your consent! Self confidence comes when you are comfortable with who you are. You feel worthwhile, with a right to occupy your place in the world. You feel capable, competent, relaxed, happy, energetic and positive. People with high self confidence are likely to be successful and popular. They will be living their lives on their own terms - having a high degree of control over their environments. They will work in a job they enjoy, hold friends whose company they enjoy, live in a home they love with a partner they love. High levels of self confidence give people inner strength, making them more resilient than others. They will be more in touch with what they want, and more motivated to go out into the world and get it. They will weather the inevitable setbacks better, and apply more stamina to breaking through the resistance into their chosen world. Why Is Self Confidence Sometimes Low? Personalities are formed in our early years. Before the age of 11 (some say before the age of 7) the major building blocks of our personalities are laid down. It is upon these blocks that the rest of our lives are founded. Unfortunately, these activities don't always go smoothly. Let's first consider parenting. Most parents didn't read the manual. They may have been very young and inexperienced, with little support from their own parents. They may be highly stressed by work, relationships, financial pressures and so on. They may be overwhelmed by the parenting burden, and they may also be damaged by their own parents. Even the most loving and balanced of parents will propagate problems from their own environments and personalities, into the minds of their children. And average or struggling parents may do far worse. Children are, by definition - learning how to do everything - they don't come pre-skilled. If parents are impatient and critical with their learning offspring, they will wear down a child's sense of competency, instilling the notion that they are natural failures. If parents are openly angry, their children will learn that the world is full of angry people, and that much of what life has to offer is painful and frightening. Now when you consider that - in a child's eyes, their parents are all-knowing GODS who cannot be wrong, you'll come to see how children can be devastated by the parenting process. They will come to know that they are no good at anything, and that failure attracts anger and pain. That's how poor parenting builds a child with low self confidence. And a child with low self confidence grows up - almost inevitably - to be an adult with low self confidence. If you are a parent or working in education, please carefully consider the impact of every interaction you have with children and try to grow happy and successful people with high self confidence. Even if your parents are pretty good, your school is probably going to bite you. Young children are raw human beings who have not yet been "civilized" in the ways of not being cruel, or selectively articulating their thoughts. If they see that you have a big birth mark on your face, they are going to mention it, and they may already have learned to make fun of it, and to gather in groups based on social fit - the IN crowd and the OUT crowd. This is all natural playground stuff, but it is also a jungle where the vulnerable can learn some dreadful truths about the world. Principally, they learn that they are in the OUT crowd, and that the IN crowd are going to make them suffer for it. So, with one or both of these environments delivering many negative messages to a young child, you can see how damage can be done. Young children are especially vulnerable, because they have have no broader context by which they can dismiss the poor behaviour of others as irrelevant, and they have few personal skills to limit the damage. They will simply drink in those negative messages and swallow hard. This critical period in a child's life is where their beliefs are laid down. Let's reflect on what belief is. A belief is something you KNOW is true, without needing to think about why you believe it. Beliefs can be so entrenched and permanent that we don't even know that we hold them. Yet they sit there in our heads, silently directing our behaviour. They tell us that we're not meant to be successful, that we can't find a good-looking partner and so shouldn't try, that taking risks is always a bad idea, that the world is a scary place, that any group we might aspire to belong to is going to reject us, because we're in the OUT crowd. In such a world, what's the point in trying? It's just a recipe for misery. Geoff is intelligent and a competent professional, but in social situations he considers himself something of a disaster, and his life is a much smaller one than he would prefer because of it. He is struggling with two sides of his self. One wants to be outgoing and fun-loving; the other fears rejection. Unfortunately, this latter half seems to be in charge. So one half of Geoff keeps putting himself in promising situations then his other half keeps sabotaging them. Geoff is very frustrated and out of ideas. Whilst coaching Geoff, it became clear that Geoff was apparently blind to a whole raft of things he could do to build friendships in social situations. Through very careful questioning, I was able to uncover some interesting history. More than 30 years later, Geoff still held these beliefs. In other words, he acted on the basis that he knew they were true. Though parts of his intellect knew that the facts did not support these beliefs, he continued to hold them inside, from where they drove his destructive behaviour. Before coaching he did not consciously know any of this. Through some challenging dialogue about options, Geoff recognised that he was ruling out hugely productive things he might do in social situations, because they could not work. And they could not work, because HE WAS UGLY, AND PEOPLE ARE CRUEL. Geoff began a difficult process of un-learning these beliefs and now has a growing repertoire of social skills. He is taking more social risks and doing more things socially. He’s beginning to sparkle. He’s finally becoming the person he felt sure deep down, that he ought to be, or perhaps always was. 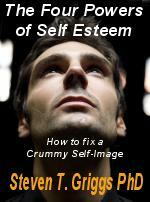 If you have low self confidence, then there is a great deal of work that we can do to improve matters dramatically. As your coach, I will work with you via our weekly phone sessions. We will determine what makes you say you have low self confidence. We will identify the impact of your problem on your life. We'll then explore the thinking behind your behaviour, teasing out your hidden beliefs. When we have those out in the open, we can confer about them. Are they rational? Are they born out by evidence in the real world? Believe me - rationality has little to do with anything in here, because beliefs are formed by young children and inherited by adults who do not even realise they have these beliefs. Isolating irrational hidden beliefs is a very important step, and in my view, it's almost impossible to do it yourself. You cannot be objective, and those beliefs are too much a part of your personal make-up. So what then - are you "fixed"? Bizarrely, not usually. Step one is to realise that deep down, you operate from the belief that, for example, you are ugly. Step two is to recognise that there is no evidence in the outside world to support this conclusion. This step is usually complicated, because - if you think you're ugly - your mind will find a way to make it appear true. How? OK - here's how. Let's say that an attractive person shows an interest in you. Since you know you're ugly, you know you're misreading the signs, or else they're playing some cruel game, (you also know that most people are cruel). So, you look away. So, the attractive person thinks you're not interested and moves on. You have just proved you're ugly - an attractive person passed you by. Even having understood this, you're still not home, but you're really making progress. The next obstacle is your behavioural repertoire - that set of things you typically do in the world. Also known as your comfort zone. So now you know that you've felt you are ugly, and you recognise that you've been doing things (ignoring approaches from nice people) to re-enforce that belief. So - you'll just stop doing those things, right? Well, yes, but believe me - you are going to resist like crazy! Your intellect will tell you what to do, but every fibre in your being is going to scream NOOOOOO! I DON'T DO THIS! I CAN'T DO THIS! We'll work on this together, finding ways to stretch your comfort zone. Taking small opportunities for you to operate in new ways, and to sample what the world gives you back. Over time, you'll change. Your old beliefs will be loosened then lost, and your comfort zone will become vast compared to the old one you used to live in. You'll start to feel confident in new situations and then you'll start joining up these new situations and you'll become self confident. You can work on your own for a while, and check back with me when you need to. This is exciting, life-changing, world-changing stuff! A bit scary, too, but you can do it, and you owe it to yourself to get started! Of course, as you read this - guess what's happening? Yep - your current beliefs are holding you back. Telling you that people don't really change. That your life has to carry on as it is. That you could not ever have, and do not deserve a fantastic life with high self confidence and all that goes with it. I also employ some neuro-linguistic programming techniques for building confidence. In some cases, my clients simply can't let go of their beliefs. They run out of time, or strength, or patience we break through. There is another radical approach for these people. Read my article about cosmetic surgery and coaching.